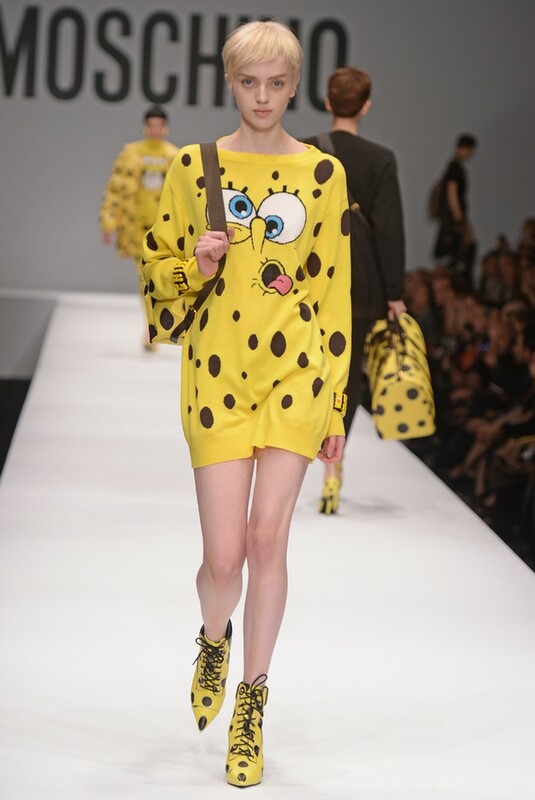 Several outfits of the Moschino by Jeremy Scott Autumn/Winter 2014-2015 Show paid homage to SpongeBob SquarePants. Another SpongeBob SquarePants-inspired collection : Louis Vuitton by Marc Jacobs Spring/Summer 2008 (Marc Jacobs, who has a SpongeBob SquarePants tattoo on his right arm, told Style.com that the colors of SpongeBob SquarePants had influenced this show ; for his bow, Marc Jacobs carried a vanity case which featured a screen showing of SpongeBob). 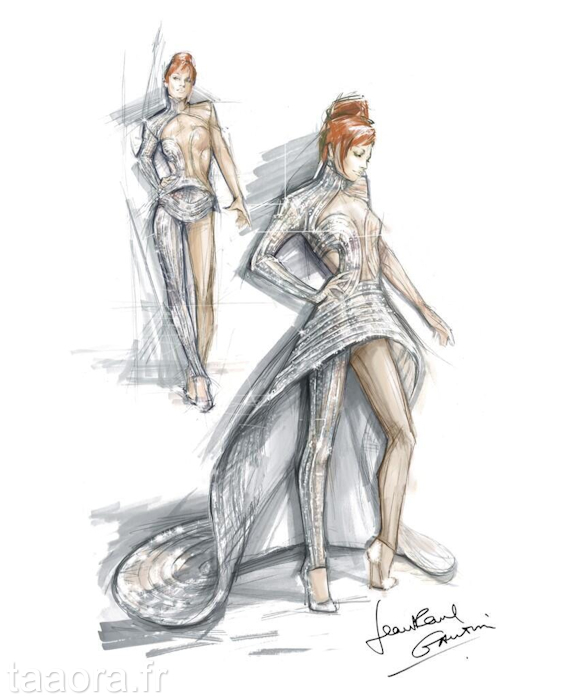 Moreover, Victoria Beckham was animated for a special episode of « SpongeBob SquarePants », titled « The Clash of Triton », which was aired in the US on July 5, 2010, and celebrities such as Coco Chanel, Karl Lagerfeld, Marc Jacobs and Terry Richardson were reimagined by Mike Frederiqo® as SpongeBob SquarePants, in January 2012.